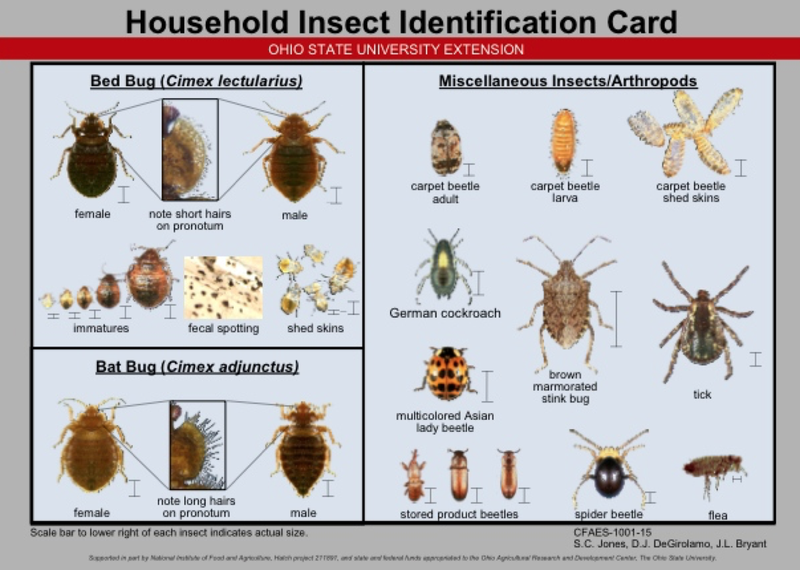 Ohio continues to be one of the states most affected by bed bug infestations in the U.S.
Ohio State University Extension, Mercer County will be hosting a Bed Bug Workshop on June 9, 2016, Noon at Dicke Hall, Wright State University Lake Campus. 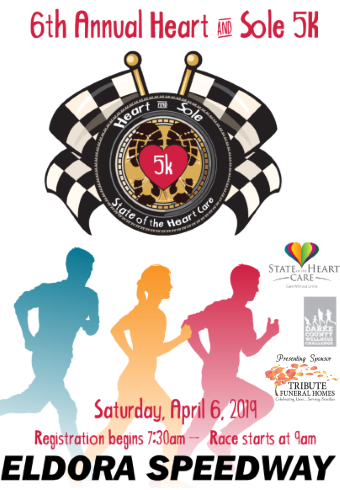 Please call 419-586-2179 to reserve your seat. There is no charge for the workshop. Feel free to bring along a sack lunch! WSULC’s Boathouse will also be open from 10 am to 2pm for food purchase. 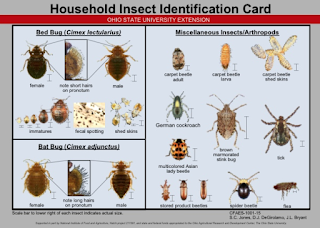 Susan Jones, Ohio State University Extension's household insect state specialist with the university's College of Food, Agricultural, and Environmental Sciences will address how to handle infestations, deal with clients, and protect yourself and your home. 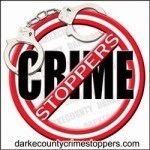 The workshop is open to anyone including agency workers, medical office professionals, people who travel and anyone looking for direction in managing this growing problem. "Even though they haven't been in the news as much lately, bedbugs are growing in importance in Ohio and across the country," said Jones, who coordinated production of the PSAs. "Some of Ohio's cities have the highest levels of bedbug infestations in the country." Jones hopes the meeting will help drive three key messages home. "The first message is that that anybody can get bedbugs," she said. "If you are a living, breathing human being, it can happen to you. We need to talk about the realities of bedbugs and eliminate the stigma associated with them." The second is to educate Ohioans about readily available methods that are useful to help eliminate bedbugs. "The best way to get rid of a bedbug infestation is to contact a licensed, qualified pest management professional who has experience dealing with this pest," Jones said. "Exterminators will use either heat treatment or a combination of effective pest control measures, including insecticides." 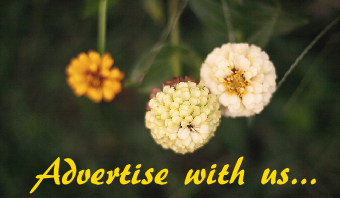 However, if a pest management professional is beyond someone’s budgets, there are alternatives that can help minimize an infestation. "One good method is to wash clothing, bedding and other items in hot water, dry them completely at the highest dryer setting, and then dry them for an additional 30 minutes to kill the bedbugs," Jones said. "Simply placing dry items into a dryer for 30 minutes on moderate-to-high heat is sufficient to kill all bedbug stages, eggs, nymphs and adults." The third message will be to warn people not to use over-the-counter foggers or "bug bombs" to try to get rid of bedbugs. A study published by Jones showed that "bug bombs" are not effective at killing hidden bedbugs and may even worsen the situation, making the insects scatter to places where they weren't before. Despite this scientific evidence, "bug bombs" are still labeled against bedbugs and are readily available at stores. "The Environmental Protection Agency has not taken any measures to limit the availability of over-the-counter products for treatment of bedbugs," Jones said. "The public needs to be aware that these products don’t work in eliminating a bedbug infestation." Tips for preventing and getting rid of bedbugs, information on how to choose a pest management professional, and more can be found at http://www.centralohiobedbugs.org. For more information about OSU Extension, Darke County, visit the Darke County OSU Extension web site at www.darke.osu.edu or the OSU Extension Darke County Facebook page.